At King Street Flea Market in Strasburg, VA, we've been Northern Virginia's one-stop shop for antiques, used furniture, vintage collectibles and more. Our 20+ vendors offer an assortment of antique and unique items that are sure to catch your eye. 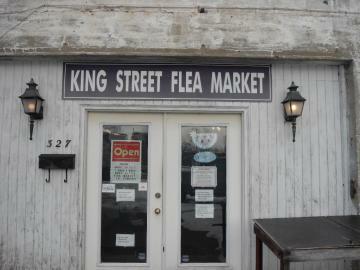 With ample parking available, stop by King Street Flea Market today to see what treasures you find today! Antiques. Used Furniture. Vintage Collectibles. I love this place ! I find a different treasure every time that I visit. Visit King Street Flea Market Today! Call 540-465-1881 to Learn More!